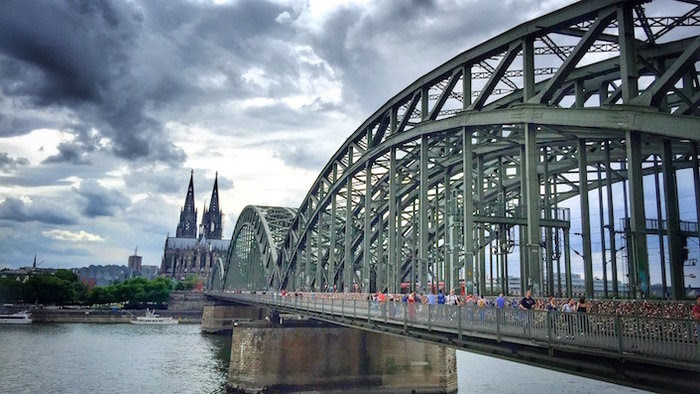 Built by Romans and nearly destroyed by WWII, Cologne is a multi-layered city. 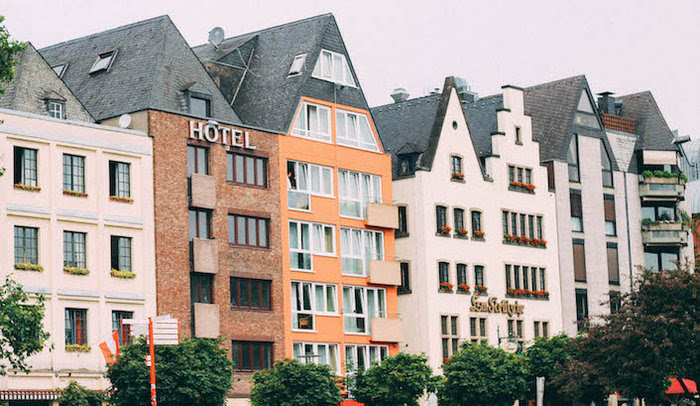 Its cityscape is a hodge-podge of architectural styles perched on the iconic Rhine River, making it a fantastic destination to explore for a few hours or a few days. 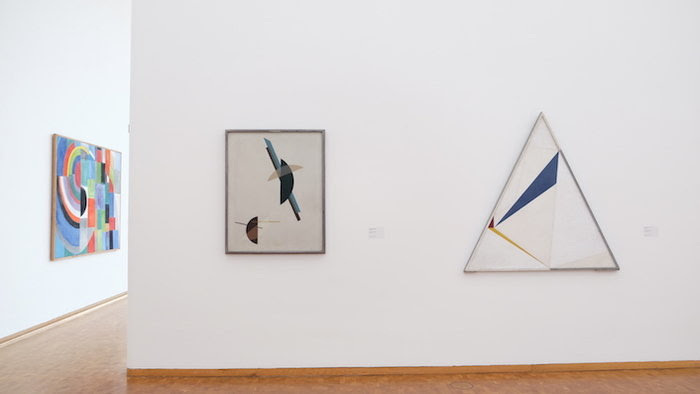 Festivals draw the tourists in, but the charming churches, plethora of museums, and artsy neighborhoods keep them there, delaying their departure as long as they can. The famous perfume “eau de Cologne” was invented here in 1709. With the aid of some incredible festivals, Cologne offers something magical all year round. Temperatures drop in the winter, but a glass of mulled wine and the twinkling lights of the famed Christmas Markets more than make up for the cold. In addition, February brings the Cologne Carnival, and mask-wearing revelers fill the streets. In the summer, the massive fireworks show, Cologne Lights, delights visitors during the peak travel season. 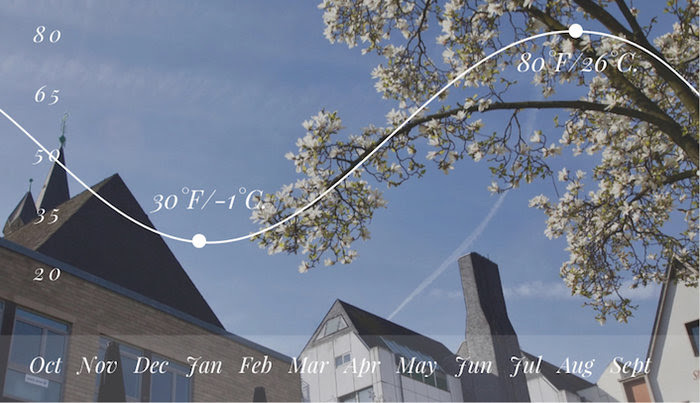 So really, you can’t go wrong booking your trip any time of the year. 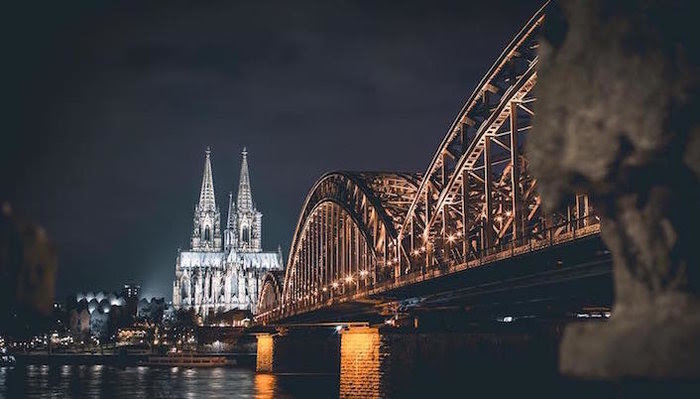 Cologne – or Köln to the locals – has its share of tourist attractions and you’d be remiss to skip over some of the staple activities. Most people will point you to the Cologne Cathedral(aka the “Dom”), which symbolizes the literal and metaphorical center of the city. You can’t skip a climb up the narrow stairs to the top for a beautiful view. 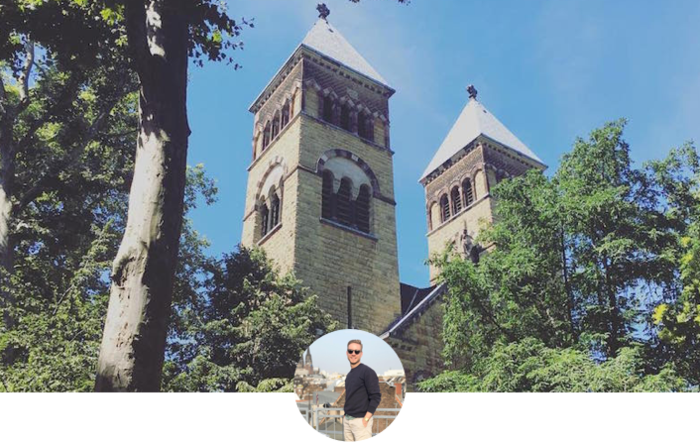 Next, a stroll along the Hohenzollern bridge is unmissable, and you can join hundreds of others in adding a lock to the bridge’s railing to symbolize your love. This particular area might be crowded during peak travel times, but taking a few hours to visit this area should be at the top of your list. How can you think of visiting Germany and not attending a football (aka soccer) game? 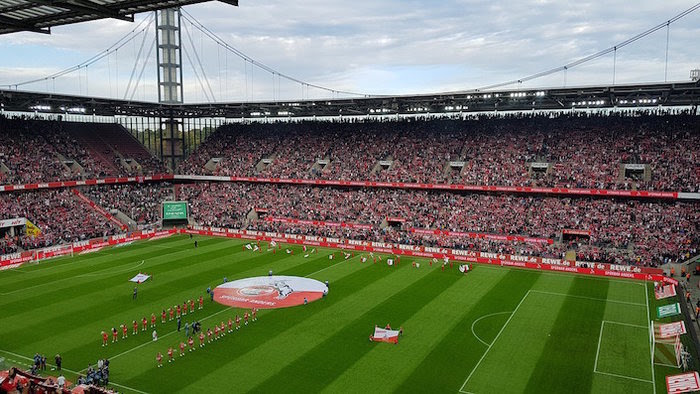 FC Köln is the local team that draws huge crowds to watch them compete. If you’re in town during the season, book tickets to watch the home team play at RheinEnergieStadion. The energy at a game is unbeatable, and what better way to get to know the local culture than by cheering on their favorite team. If the team isn’t playing, you can still tour the stadiumand imagine what it feels like when it’s full. 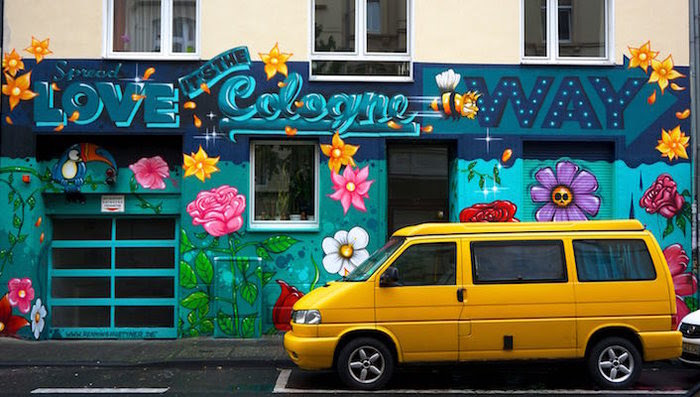 Cologne is home to some of the most adorable neighborhoods in Germany, like the pastel-colored homes of the city center, the hip and trendy Belgian Quarter, and the artsy Ehrenfeld. 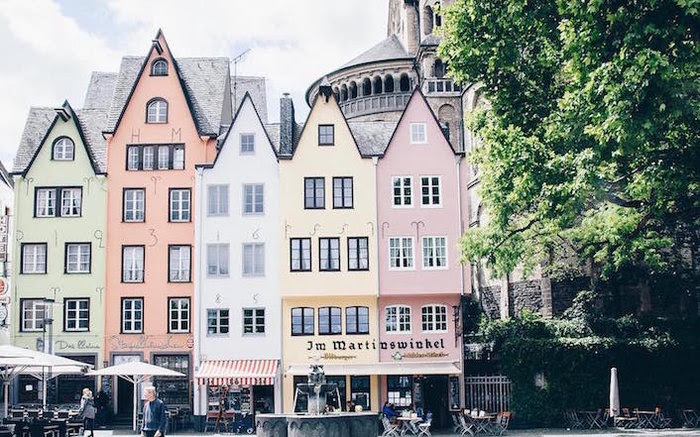 Spend an afternoon exploring the city on foot, walking along the Rheinaufhafenand discovering hidden boutiques and adorable markets. 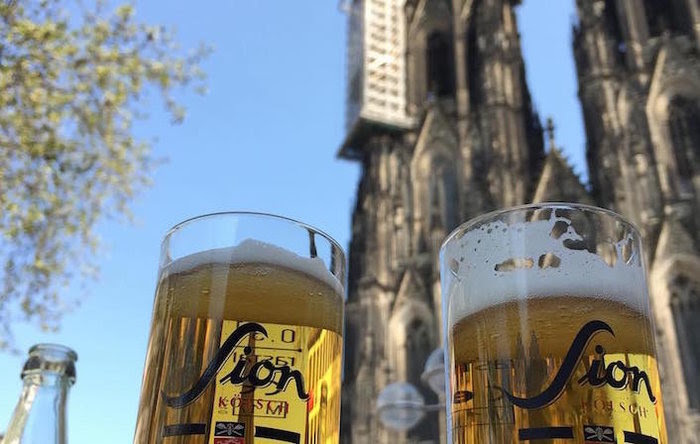 You can’t escape Germany without cheersing a tankard of beer, and Cologne has its own unique brand brewed specially in the city. Kolsch beer is light and distinctly German, so grab a giant glass and pair it with schnitzel and an extra heaping of sauerkraut at a beer house like Brewery Päffgen for a full German feast. For a trendier dinner, head out to Achtor Massimo Il Bagutta for upscale and delicious plates.